The Jedi Knight was one of my first choices to play as my main. I did enjoy it, and it was everything I had hoped for and more. 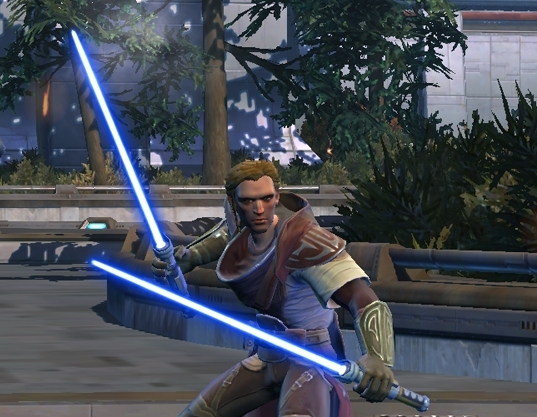 If you enjoyed the sheer power of a Blademaster/Guardian in KOTOR, then you will love the Jedi Knight. It was a highly energetic class with a plethora of options for slicing bad guys. 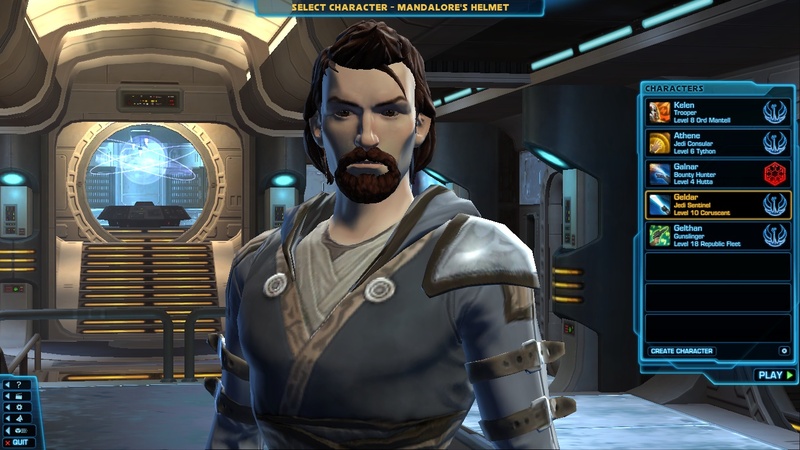 Here are the top 4 things to know about the Knight class in SWTOR! There is just nothing like Force Leaping into a crowd, AoE’ing said crowd, and killing with one final blow each and every evil-doer in the galaxy. The story is a classic one of Star Wars. Defend the weak, keep the peace, defend the Order. However, if you get tired of being a goody-two-shoes, there are some interesting Dark Side options that are more subtle than you would imagine (hint: passion, including love and vengeful justice, is bad). This is the spunky R2D2-type personality of the game, and he is worth his weight in gold. He is a hilarious little thing. Since his beeps and whistles aren’t exactly intelligible to most humans, his speech is translated in the chat box. He says some hilarious things, and he is quite cocky. He is also very impressed with you as a beast of a Jedi, so expect him to be pumping you up to enemies right before you kill them. As with most DPS classes, leveling goes quickly, simply because things die quickly. The Knight, however, is very good at getting into the fray quickly with his Force Leap skill, so you will be moving faster literally as well. His survivability is also very good, as he has a 2 min cooldown skill that increases mitigations be a decent amount, making it a great skill to pop in the beginning of a hard fight. I didn’t know what a Heroic quest was until after I had completed a couple solo. Apparently, you are supposed to do them with at least 2 people. Oops. The dual lightsabers that comes with the Sentinel class makes this for me. There is nothing like blazing a maze of deadly light. There is something considerably cool about being so awesome that one lightsaber just isn’t enough.